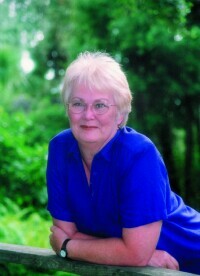 In addition to children's stories, Jan Day is the author of published short fiction and poetry. She was a co-winner for an original teleplay at the Hawaii International Film Festival, was awarded first place for her children's play A Piece of Cherry Pie, which was produced in New Orleans. Her short fiction has been published in Tropic, the Miami Herald's literary magazine, and her poetry was most recently published in The Bamboo Ridge Anthology. 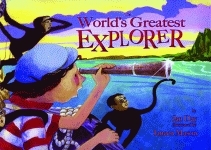 Ms. Day's first children's book, The Pirate, Pink was an International Reading Association/Children's Book Council â€œChildren's Choicesâ€ selection. Ms. Day has participated in children's publishing panels at the Miami Book Fair, Martin County Library's Book Mania, Naples Book Fair, and the Amelia Island Book Festival, as well as the Arizona and Florida chapters of the Society for Children's Book Writers and Illustrators. A founding member of the Arizona Book Publishers Association and a current board member of the Publishers Association of South, Ms. Day speaks on children's book publishing and has also done author presentations in schools and for associations such as the Florida Reading Association and the Florida Association of Media Educators. Jan Day grew up in Cuba, Illinois, an island in the middle of cornfields, but always dreamed of adventures at sea, just like Pink. She has since lived in many places, including New York, Arizona, Hawaii, Louisiana, New Mexico, and Florida, where she now lives with her husband and daughter. When a dangerous hurricane blows into Florida, tall-tale hero Kissimmee Pete is blown headfirst into his craziest adventure yet. As the dark clouds take over the sky and the gusts of wind send his herd of wild cattle clear across town, Pete must rally up his animal friends to save the townspeople from the deadly storm. A tall tale based on the life of the frontier cowboy, or “cow hunter” as they are called in Florida, Kissimmee Pete, Cracker Cow Hunter is a fast-paced adventure that includes encounters with starvin’ mosquitoes, hairless bears, and gators the size of canoes! When a storm blows in, Jimmy dreads spending the afternoon indoors, but his grandfather knows exactly how to pass the time. He ventures into the cupboard and pulls out dusty, old books—the journals of Jimmy’s seafaring great-great-great-grandfather, James Earl Silas Tuckingham.